4 x X5675 Xeon CPUs (3.06Ghz) (Turbo 3.46Ghz). 6016TT-IBQF Twin Node (Model CSE-808). 2 x 500GB WD Enterprise HD. Want to own your own mini-cluster?. Get the power of two for the price and space of one! Model: Dell C5000, Dell C5520, Dell C6620. HDD: No Drives or Caddies Installed - 4 x 2.5" SATA Drive Bays Per Node. All of our servers are refurbished to a very high standard. Internal parts (such as RAM and CPUs) are tested individually, and once the components are installed the system is tested in full. Dell PowerEdge R620 1U Server. 192GB RAM (12 x 16GB PC3-8500R with 12 free RAM slots). V2 Motherboard - will take E5 V2 CPU's. 2 x Xeon E5-2650 8 Core CPU's (16 Cores, 32 Threads). Passed Full Dell Diagnostics. Smart Array P410i 1GB. 8 x 146GB HDD SAS Drives. Fully tested using HP Diagnostic Tools. DVD ROM Optical Drive. Fully Tested. Model: HP ProLiant DL360p Gen8. RAM: 192GB DDR3 RAM. All of our servers are refurbished to a very high standard. Internal parts (such as RAM and CPUs) are tested individually, and once the components are installed the system is tested in full. 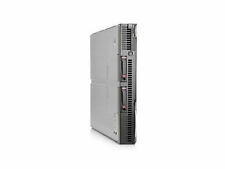 HP Proliant DL180 G6 2x E5620 4-Core 2.40GHz 25 x 2.5" SAS. Model No: ProLiant DL180 G6. Bays 48GB 2U Server. Storage: 25 x 2.5" SAS Bays UNPOPULATED. HP StorageWorks P4500 G2 Storage Server Xeon E5520 2.26GHz. Model No: StorageWorks P4500 G2. 8GB 616061-001. 1 x HP NC550SFP Dual Port 10GBE Network Server Adapter Card - 581199-001. Storage: 12 x 3.52 SAS Bays UNPOPULATED. 72GB 1U Rack Server. Model No: Proliant DL360 G7. Motherboard: 591545-001. In Good Condition. Storage: 292GB (2 x 146GB 2.5"3G 15K DP SAS HDD 512744-001). Dual E5649 Xeon hex core total 12 core 24 threads. HP Proliant DL380 G7. 8bay sff server. complete rail kit included (innter and outter rail). item had been update to 2015 hp repository firmware tool. Model: HP ProLiant DL380p Gen8, HP DL380p G8. As you can see the DL380p Gen8 gives you massive potential for expansion, and safeguarding your data centers future growth. The answer is quite simple. RAM: 192GB DDR3 RAM Installed. CPU: E5640 x 2, 2.66GHz - 2.93Ghz ,8 Threads, 12MB Smart Cache, 4 core CPU. P410i Raid Card. 2 x 146GB HDD SAS Drives. 2x Redundant Power Supplies. Fully tested using HP Diagnostic Tools. DVD ROM Optical Drive. Model: HP ProLiant DL380p Gen8 25x Bay. RAM: 192GB DDR3 RAM. All of our servers are refurbished to a very high standard. Internal parts (such as RAM and CPUs) are tested individually, and once the components are installed the system is tested in full. 2 x E5-2680 Octa Core CPUs. Supermicro SuperServer. Rack Rails. Superb high performance server. 192 GB RAM. 12 x 3.5" Caddies. 1x Dell 2U PowerEdge R720. 2X XEON 8 CORES E5-2690 V1. 8x 3TB SAS 6GB 7.2k approx. 20TB in raid 5. PERC H710P MINI WITH BBU. Northern Ireland. Serial numbers : All relevant serial numbers are logged in a data base, we also use warranty stickers where appropriate. HP 4255se 2U 4 node Rackmount chassis. 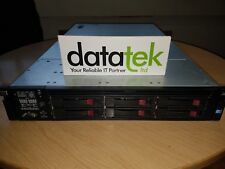 4 x HP DL170e node servers. Each node is connected to 6 drive bays. Rack Mount Rails. In good condition, tested, 12 months warranty. VGA (D-Sub 15) graphics port. RAM: 192GB DDR4 RAM. Model: Dell PowerEdge R630. All of our servers are refurbished to a very high standard. Internal parts (such as RAM and CPUs) are tested individually, and once the components are installed the system is tested in full. 2 x Six Core Xeon E5645@ 2.4Ghz. 36GB RAM DDR3 PC3. HP DL380 G7 features Product key provided. HP P410 with SAS Expander. 192GB RAM 24x8GB sticks. Cisco B200 M3 Blade Server. 2 x E5-2690 v2 10 core CPUs. ASR-71605 RAID with 1GB cache and Capacitor. Supermicro SuperServer. Superb high performance server. 192 GB RAM (24 x 8GB PC3L-12800R). 4 x drive caddies. HP DL380 G7. 16 x 300GB SAS Hard Drives. 12 Cores - 24 Threads. Model: HP ProLiant DL380p Gen8 25x Bay, DL380p G8, Storage Server. RAM: 192GB DDR3 RAM. Form Factor: Rack-Mountable 2U. All of our servers are refurbished to a very high standard. Internal parts (such as RAM and CPUs) are tested individually, and once the components are installed the system is tested in full. RAM : 12x DIMM Slots - 192GB installed (12 16GB 10600R DDR3). Chassis – Dell R610 - 6 Bay 1U 2.5” SFF. Cards : VFVGR (X520-DA2) / Perc (T945J) / HBA (DH226). Once you receive the goods we would ask you to inspect them. 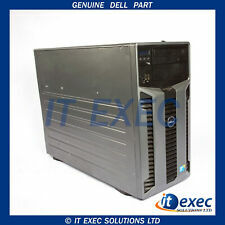 Dell PowerEdge R620 2x Xeon E5-2640 2.50GHz 192GB DDR3 4x300Gb 10K H710 Mini 512mb iDRAC7 750W. Dell Poweredge R620 - (Max Turbo Frequency 3.00 GHz). 192GB DDR3 Installed ( 8 x 16GB ). DELL Poweredge Servers. 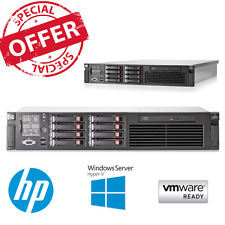 For sale is a HP DL380 G7 Server - 8 x SFF (2.5") Drive Bays. 8 x HP 500GB 2.5" 7.2K MDL SAS Hard Drives. 64GB Kingston system specific 10600R Ram.